EAT, FAST AND LIVE LONG….or more about fasting. Fascination Horizon programme about aging and the benefits of fasting last night. 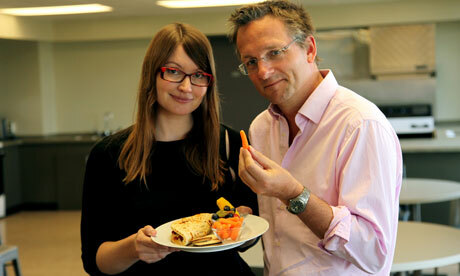 The Presenter Michael Mosley, looked at the research around longevity and discovered it is all about genes and diet. You can’t do anything about genes but you can adapt your diet. First he looked a a man who had a “calorie restricted” diet. He ate mainly huge amounts of fruit and vegetables and existed on 1900 calories day. They did comparative tests between the presenter and this man and found that the man had a million to one chance of developing heart disease and cancer. The presenter on the other hand had a high likelihood of developing these things within the next ten-20 years. Not a good thought! The presenter, Michael, doesn’t fancy the diet though so he looks for other answers. and learns about growth hormone IGF1 and all about the effects of fasting.. It would appear that when we eat our cells grow, making us more susceptible to cancer and diabetes,but when we fast our cells turn to what we have got already and repair them…. bit like make do and mend! So Michael decides to fast …for three and a half long days. He suffers, not least of all because the film crew torture him by taking him to a Korean restaurant, he gets pretty grumpy! but in the end it is worth it because his IGF1 levels are down. … but he decides he can’t face fasting like this around once a month, so he looks for other alternatives. The alternate day fast sounds easier..500-600 calories one day followed by all the junk you can eat the next. day. I am not sure why he rejected this. Maybe too much junk food. Eventually, in order to stave off the inevitable he settles for a regime of eat healthily for five days , fast for two every week. Which seems to have beneficial effects according to his GP wife….they don’t tell us what her take on this is!……. Has she to put up with two days of grumpy Michael each week,… and does she join in? Live forever but get divorced! PEOPLE TELL ME THEY HAVE DIFFICULTY POSTING. I THINK YOU NEED A GOOGLE ACCOUNT. Very interesting! One of the things that I learned while doing some research about Ramadan is that the health of Muslims tends to improve during their annual fasts. Thats even more interesting, Mary Kay. I wonder if they also put weing ON, as they seem to eat all night and fast all day! LOve Denise.